I just never seem to get on here! Finally! Having a new camera means that I can start showing off the more recent projects I've finished! I wanted to make a special gift for a really nice person for Christmas... preferably handspun mittens... but I knew that I just wouldn't have time to be starting something so detailed so late in the year. So I decided I'd just pick a really classy pattern and buy some extra nice yarn and go from there. I know it isn't quite as special as a completely custom design with handspun/handdyed yarn, but I hope this person really loves the mittens anyways. 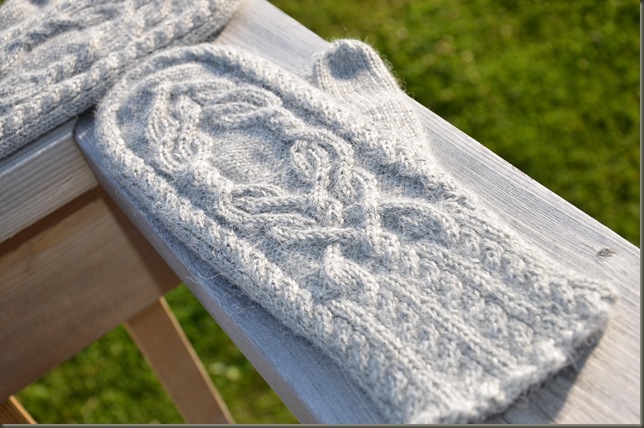 I decided to go with a long-time favorite mitten pattern - Magic Mirror by Kristel Nyberg. I've been admiring this pattern over on Ravelry for quite some time, but had not gotten around to making a pair. I rarely knit with Sport or DK Weight yarn, so I think that was the main inhibiting factor as to why I had never tried them. I love the way that the mittens are covered with cables - from cuff to fingers. 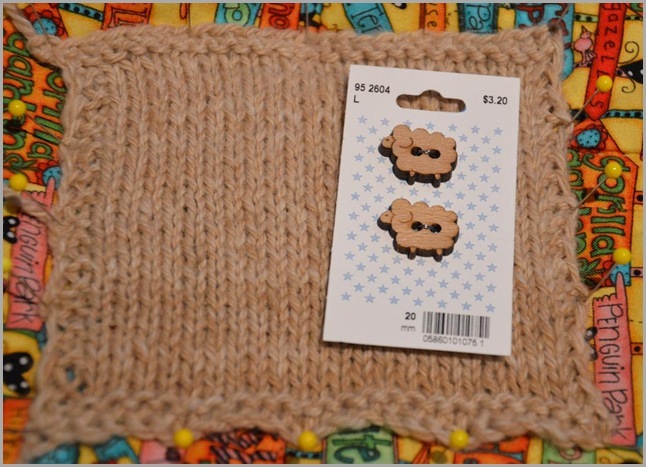 And of course, the backs are plain (read: easy and straightforward) so at least half of every row was a basic easy knit. All of the cables are charted, which always makes the process easier for me since I'm such a visual knitter. 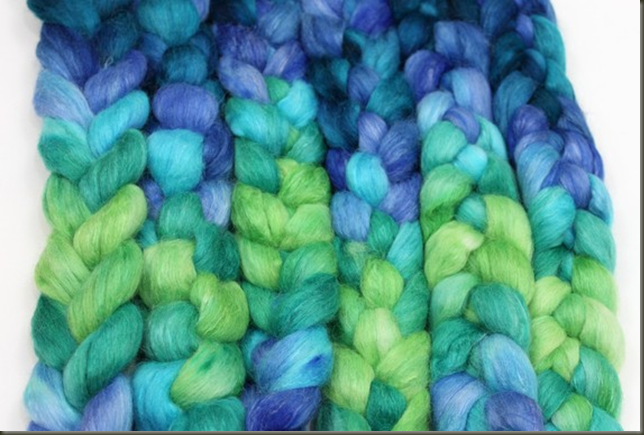 The reviews on the yarn were mostly positive - "Knitting with Kitten" was my favorite comment. 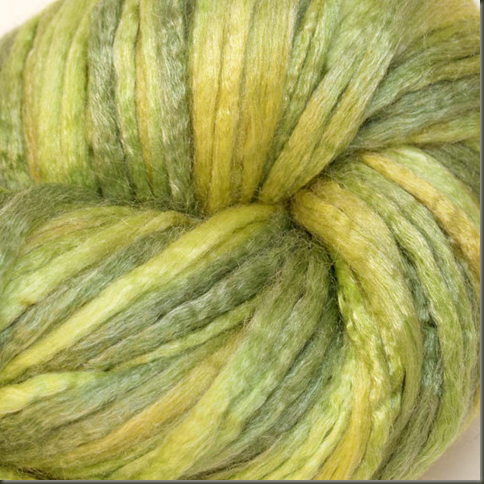 So I hoped that it would be plenty soft, and not scratchy like some other alpaca yarns I have worked with (AhemBERNATalpacaCOUGH) and was not disappointed. There is a little bit of gentle halo but no scratchy bits. The finished mittens blocked out quite nicely, and fit my hands perfectly. I seem to have average ladies shaped and sized hands, so I hope they will fit the intended recipient just fine. I worked the mitts on a set of KnitPicks Circulars, which was a first for me for mittens. I've done lots of socks on Circs, but never really had the proper sized needles to do mittens. I was quite pleased with the ease of working in the round, basically magic loop style, and the no-ladders finished look. 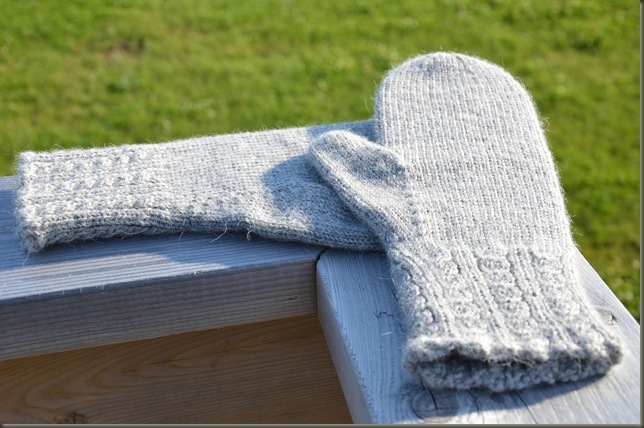 I will definetly look for more sizes of circs to make mittens with, especially for next time I do colorwork mittens. 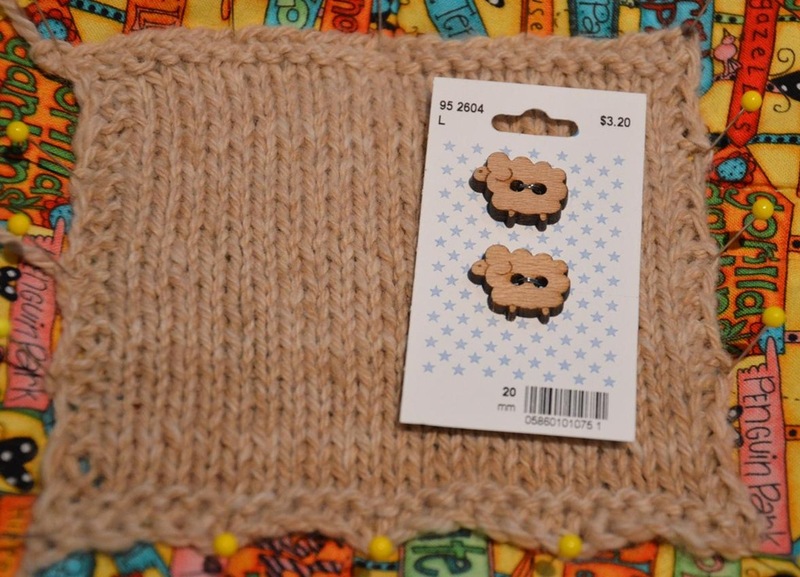 I think this method would be perfect for something like a fiddle-head mitten or a Norwegian style mitten since I found the last time on DPNS, I had a hard time hiding the places where the needles separated. I had loose and tight stitch ladders that even blocking wouldn't even out in some places. All in all - a great knit, great yarn, and beautiful finished mittens! Scratch another holiday gift off my list!